S7 Group — made up of the carriers S7 Airlines and Globus —and Ural Airlines reported a significant increase in February traffic by 19.8% and 25%, respectively. At the same time, the cumulative traffic of Russian airlines stayed almost level with the previous year; growth was recorded at just 0.2%, according to the Federal Air Transport Agency. Almost 767,000 passengers chose S7 for their travel needs in February, while Ural Airlines carried almost 309,000 passengers during that month. 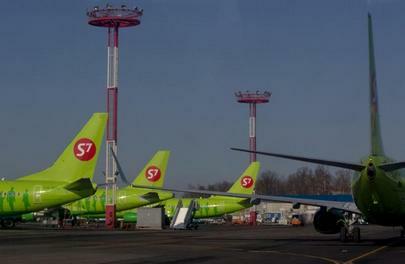 These two carriers are among Russia’s five largest airlines. S7’s domestic traffic grew 25.2% to 582,200 passengers. It carried 184,700 passengers on international routes, a 5.3% YOY increase. At the end of the last year, the airline introduced a flexible fare system, which enables passengers to choose the services they need. The carrier also expanded the choice of convenient flights by increasing frequencies on many routes inside and outside Russia, explained S7 director for strategy Igor Veretennikov. Ural Airlines did not publish its domestic and international traffic figures, but mentioned that the number of flights increased by 21% to 2,561 (out of which, 1,638 were domestic, 574 to CIS countries, and the rest, 349, were international). In January and February, the airline offered its customers a number of promotional campaigns, including a 30% discount on premium-class fares. It also launched new fights to Dubai and to Baikonur. In January, against the background of declining cumulative traffic (-6.1% to 5.5 million passengers) Sibir’s traffic grew 28.2%, Globus’s grew 6%, and Ural Airlines’ increased 7.5%. At the end of 2015, Russin airlines’ cumulative traffic declined 1.2% YOY. Three of the top five carriers managed to increase their operational results: Aeroflot increased 10.6% (26.112 million passengers), Sibir showed 3.4% growth (8.209 million passengers), and Ural Airlines grew 5.5% (5.445 million passengers).